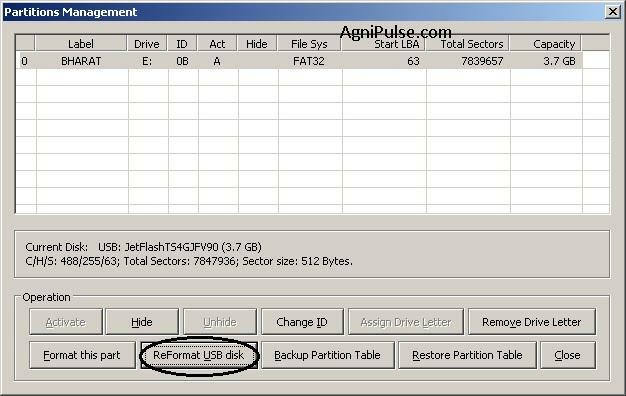 Why Partition a USB Flash Drive? All Partitions are visible in Linux.So partitioning your USB Flash Drive will be useful if you only want your Linux friends to access data on your USB Flash Drive. You can carry bootable Linux Distros and PEs in the other partitions. Filter Drivers can make USB Flash Drives appear as USB Hard Disks.Hence filter drivers allow us to partition a USB Flash Drive using Windows Disk Management.Also all the partitions of the USB Flash Drive are mounted in Windows Explorer with Drive letters. 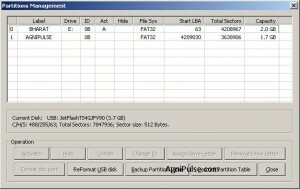 One main disadvantage of using Filter drivers is that a reboot is required before all the partitions of a USB Flash Drive can be accessed.So if you are using some other computer,you cannot quickly access data on your other partitions.This problem is solved by using Bootice. Filter drivers like Diskmod do not require a reboot. 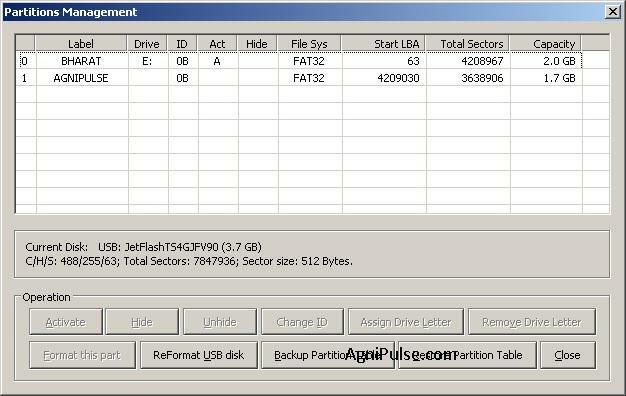 Select your USB Flash Drive and click on Parts Manage. 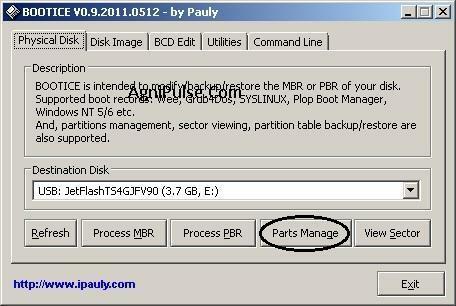 In the Partitions Management Window click on ReFormat USB Disk. 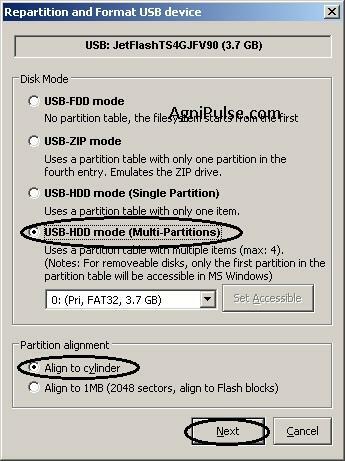 Under the Disk Mode select USB-HDD Mode(Multi-Partitions).Under Partition Alignment Mode select Align to Cylinder.Click on Next. You can now see that your USB Flash Drive has been partitioned. By default only the first partition of your USB Flash Drive shows up in Windows Explorer. Under Disk Mode Select the partition you want to access and click on Set Accessible and Click on Cancel. 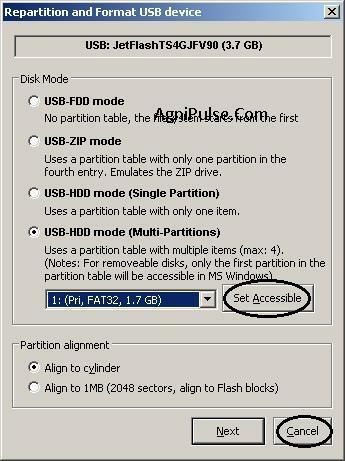 You can now access the partition you just set as accessible.You can only access the partitions one by one.If you want to access all the partitions simultaneously you either have to use a filter driver or use a Linux Operating System. If you don’t want your other partitions to be accessible in Linux, then you can hide it.Follow Steps 1 to 4.Click on the Partition you want to hide in Linux(and in windows with a filter driver) and click on the Hide Button.To unhide it just click on the Unhide Button . very useful post. appreciate your effort to enlighten us. can you also tell me if i want to put few files with autorun in hidden partition is it possible. when i plugin usb into computer will this autorun program automatically opens the file? pl. clarify my doubts as am in need of urgency. No.The autorun.inf file will not even be seen by windows if its on a hidden partition. thanx for your reply. as you worked on USBs can you help me to provide some information to complete my task. The task is i hv to put one presentation file in the USB which should autorun. 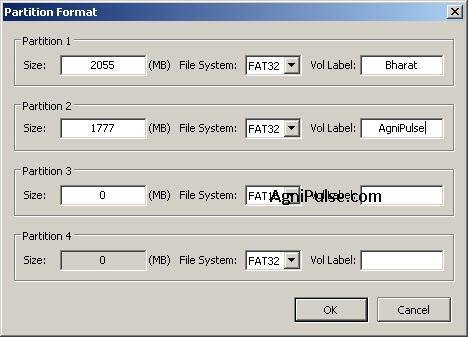 However the end user shouldnot be able to tamper these files nor able to delete even if they format the USB. If files are visible no issues. I have same problem that you refer in your post. Do you have any solution? This post is really useful. I see Bootice is also a commnad line tool. 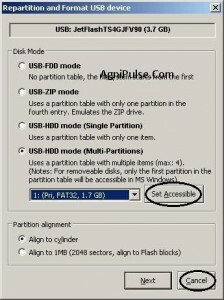 Do you know how to automatize the process of switching the accessible partition ? The goal is to have a script in each partition in order to switch to the other one. It is heartning to see more and more IT enthusiasts in India (nothing chauvenistic about it) sharing their knowledge with the world at large. I think this building up of a knowledge base and sharing it is a sort of prerequisite for spread of IT awareness in the country. I doesn’t work properly with my USB. I wanted to make 2 partitions, 8GB NTFS and 7 GB FAT. On it’s own it makes 3 partitions, 128MB; 2,8 GB and 12 GB. For some reason, it takes 4GB from my second partition and ads it to third. 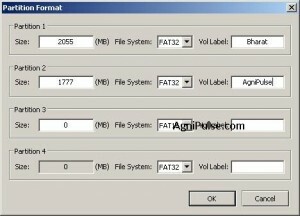 After partitioning with Diskmod , can you access the various partitions using Bootice on a different computer(without diskmod) ? Disable diskmod so that your computer sees your USB Flash Drive normally.Then try accessing the second and third partitions using Bootice. I haven’t tried it but I think it should work. All three of them appeared beside set accessible button. I am on a different (public) computer right now which doesn’t allow me to use Bootice. Will try at home and will answer you later today. I tried it and can access all three of them without problem. Btw, I have USB UFD 2.0 Silicon-Power 16G 15GB. AWESOME! This is working for me in Win7 64 w. a 64GB Lexar Flash Drive. THANK YOU Pauly & Bharat!! Very useful tool – thank you! By the way, I’m using the later v.1.02 which doesn’t have the ‘set accessible’ option for multiple partitions. Any particular reason? I’m wondering the same thing. I’ve used both. The older version is much buggier and unpredictable. How do I enable accessing all the partitions simultaneously. I need it. I thank Almighty ALLAH for letting me come across your page.Because today you guys through the help of our creator have been able to fix my 64GB Lexar flash Drive .Which i bought just yesterday and is not working and Won’t even Format.And Allah been so so soOOOOO good to me He aloud me to come across your wonderful most useful page:). All i can say to you is may Allah give you moreee Health,increase your knowledge and give you what ever you desire! .To me you are GENIUS!. Love the way you summed the ‘Facts’ and the ‘Whys’. Thanks.